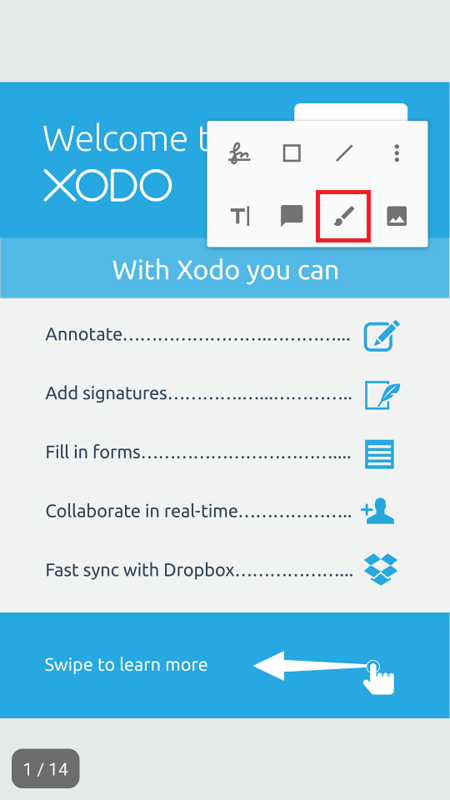 There are two ways to add an ink annotation in Xodo: from the quick tools menu and from the Annotation Toolbar. 1. Long press on the document until the quick tools menu pops up. 2. Press Ink in the menu. 3. The ink toolbar will appear at the top of the screen. The ink toolbar contains ink presets, an eraser and undo & redo buttons. You can scroll around the document using two fingers, or if you are using a stylus, only one finger. Note: On a phone in portrait mode, there is room for only one ink preset. 1. Tap the Annotation Toolbar icon on the Action Bar. If you don't see the Action Bar, tap the center of your screen to bring it up. 2. 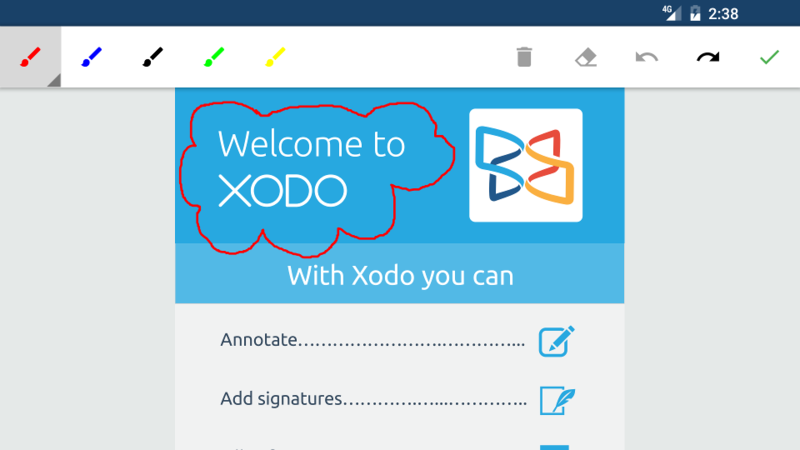 Tap the Annotation ink button. 3. The ink toolbar will appear with ink presets, an eraser tool and undo & redo buttons. 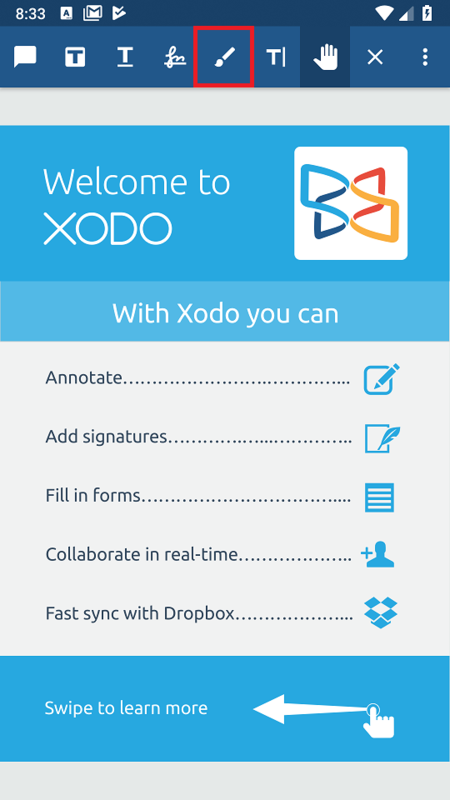 You can navigate the document by using two fingers, or if you are using a stylus, only one finger.